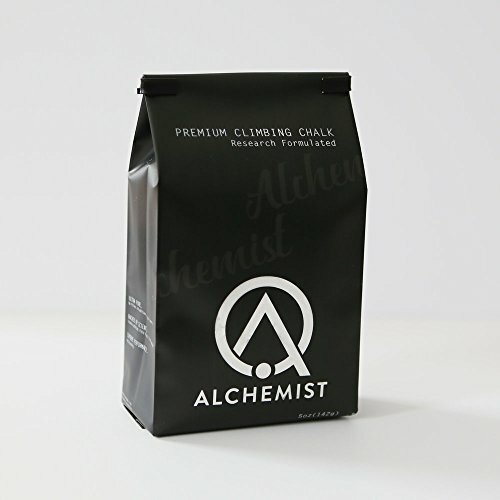 Alchemist Climbing - Premium Climbing Chalk - Research Formulated by Alchemist Climbing at Wildly World. MPN: MJ-FDH9-EAUZ. Hurry! Limited time offer. Offer valid only while supplies last. ALCHEMIST CLIMBING| The chemists and engineers behind Alchemist Climbing have created the best formulation to combine the ultimate feeling and performance in climbing chalk. ULTIMATE PERFORMANCE| High performance starts with optimized chemical morphology and purity. RESEARCH FORMULATED| Through intensive research, we have modified the structure of the highest quality magnesium carbonate to provide you the high grip and moisture control every climber is looking for. GIVING BACK| Each year, we donate one percent of our annual revenue to Educational and Environmental initiatives, in addition to the many collaborations and partnerships we organize to make positive change in our communities. If you have any questions about this product by Alchemist Climbing, contact us by completing and submitting the form below. If you are looking for a specif part number, please include it with your message.